To understand the relationship between hypoglycemia and grand mal seizures (generalized or tonic-clonic seizures), it is very critical to understand and have adequate knowledge on the signs & symptoms of hypoglycemia. According to diabetes.org, “Hypoglycemia is a medical term referring to a health condition characterized by excessive low blood glucose levels, typically lower than 70 mg/dl.” In simple words, this condition can also be referred to as an insulin shock or an insulin reaction. Read Also: How to Make Your Travel Seizure Free? 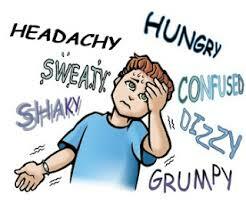 Hypoglycemia and hypoglycemia induced seizures both can occur at any age and can arise from many conditions. Having hypoglycemia seizures are one of the most distressing problems in diabetes. Glucagon, the hormone responsible to regulate glucose levels is seen as the main culprit in causing hypoglycemia induced seizures. When body’s capability to identify low-blood sugar level decreases, glucagon may not work effectively and the person remain completely unaware of the low-blood sugar levels, leaving them to experience serious problems such as grand mal seizures especially while they are asleep. Is It Possible To Reverse Hypoglycemia Unawareness? Set your blood sugar levels a little higher (not too high). Adjust your insulin levels carefully (keeping in mind your diet and exercise). Stay alert and identify the very first symptom of low blood sugar level. Keep a record of your blood sugar levels and consider blood sugar level below 3.3 mmol (60 mg/dl) as serious. Having knowledge on the various initial above signs and symptoms can help to prevent hypoglycemia seizures. Please share your views by leaving us a comment below. Let’s try to dig deeper into this health condition and help others.